If you are an online business owner then it is quite likely that you must have heard about UI, UX, and Web Design but are you aware of what are they in the real sense and how it can benefit your business? Well, to know more keep reading further. UI is the abbreviation for User Interface. The UI designers are professionals who design machine-human interfaces. Its operating principle is the “Form Follows Function.” When it comes to a website, the UI design indeed is highly synonymous with the front-end development which includes looking after complex information, workflows and tasks and distilling the same into flows and screens which are intuitive thereby helping in making complicated things appear simple. The UI design, in essence, will assist in representing the intersection of design and programming. The UI, UX, and Web Design are not mutually exclusive. Many websites in fact experience feature components of all the three. UX is an abbreviation for User Experience. 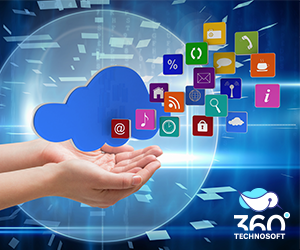 It will help in bringing to your digital experience a left-brain component and also encompass the application design and other software products and even websites. Although a web designer generally focuses on the experience of the end user, the UX designer, on the other hand, will take it to a succeeding level and use a particular methodology surrounding the user. 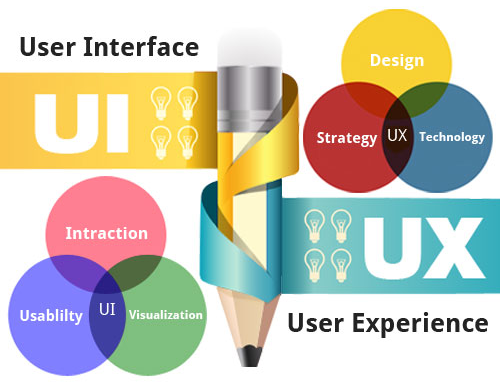 Generally, the UX process starts with a robust research component which will lead to the articulation of some desired and specific end state as well as the journey of the customer required to get there. It includes the creation of User Personas (in-depth demographic and psychographic portraits of different forms of users and also what keeps them motivated) and an iterative, collaborative approach to define both the story architecture and also the functionality needed. The UX designer before contemplating the design will make simple static wireframes and clickable prototypes. Following this, he will keep an eye on the client navigating via this prototype through a formal or informal usability testing process resting on the job’s scope. 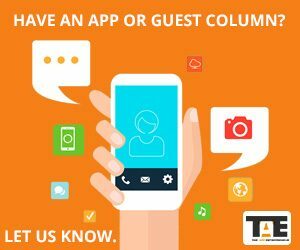 The usability testing will again take place after the application of the design and also before the launch of an app or website. A proper focus on the UX will be an excellent fit for a site of some complexity because of merger/acquisition, website size, multiple services or products catering to various audiences and multiple user types. After gaining some knowledge on how UI and UX work independently, it is now time to see how the two works collaboratively. Take, for instance; a company desires to create a running app hence you hire a UX designer. This designer will do research concerning the competitor app as well as the pain points of your user. Based on this information, the designer will decide the critical components of the app and explore the personas of the user in-depth for creating a sitemap as well as the initial prototype. And from here the designer will make wireframes, also test and refine the same as well as convert it mock-ups. Following this, the designer will help in conducting research and improving the product. The UX designer throughout every stage will focus on the product structure and value and whether it is meeting the needs of the user or not. At the completion of the development, the designer will take control of the appearance of the app including icons, links, buttons, images, and on-screen forms. The critical difference amid UI and UX is the goal. The UX designer will focus on the experience of the user including anything which may frustrate or motivate them, whether the customer liked the product or not and what should you include in the product for delighting the user. The UI designer gets these constraints, and they get instructions about what the app should include and exclude as well as how it will work. Utilizing these constraints in the form of a guideline, the designer will work both on the interactivity and design to make sure the user has a good understanding of the product and also enjoys it. An exceptional product cannot get created in the absence of either the UI or the UX. Without a UI, YouTube will be right in theory yet complicated for navigating on the screen and without a UX, YouTube will look appealing yet completely unusable. No wonder both get used in the best digital marketing campaigns. Business Growth-Through professional web designing, you can sell your services or products to the market 24/7. A website plan of high quality will work wonders in strengthening the identity of your brand and also differentiate you from the rest. Increase Conversion Rates– Any well-designed website will boost up your brand’s exposure which in turn will increase the conversion rate dramatically. Branding– It is an elegant web design which will help in connecting your customers with your branding. The best part is it will convey messages concerning the usefulness and services of your brand. Sales Growth- A good web design will grab the attention of your customers which will convince them to buy your product or service which in turn will increase your sales. So, hurry to invest in these services right away and enjoy untold benefits. Why Are Businesses Adapting To Voice Assistant?